KVB Kunlun, the Hong Kong-based broker, has published its full financial results for the first nine months of 2014, following on from their preliminary ‘hint’ late last month, as reported by Forex Magnates. In actual figures published today, leveraged foreign exchange and other trading income in Q1-Q3 was HK$84,054,000 ($10.1 million) compared to HK$41,305,000 ($5.3 million) in Q3 alone. The figures do indeed indicate that the sharp revenue boost in Q3 helped KVB swing from a loss to a profit this year. 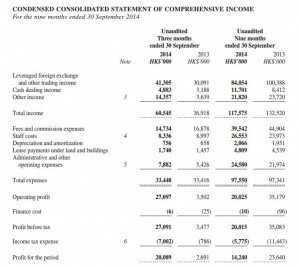 Overall, KVB reported a total profit of HK$20,089,000 ($2.6 million) in Q3 2014, bettering last year’s performance (HK$2,691,000) over the same period by 650%. However, on a year-to-date basis, KVB reported a profit of HK$14,240,000 ($1.8 million) in the first nine months of 2014 (Q1-Q3) – a 37% year-on-year decrease. 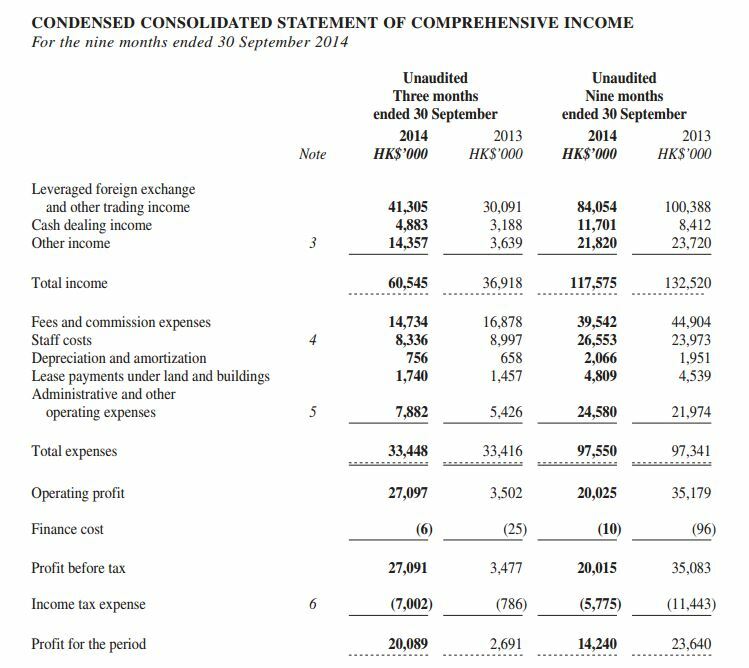 Coincidentally, KVB reported a 37% quarterly year-on-year improvement in leveraged FX income, from HK$30,091,000 in 2013 to HK$41,305,000 in 2014. In terms of performance over the first three quarters in total, KVB suffered a 16% fall in leverage FX income compared to 2013. The broker generated HK$100,388,000 of income in Q1-Q3 2013 but only managed HK$84,054,000 in 2014.